You're going to want one later, so fill out your salary survey NOW! Outstanding Project Awards: Winners Announced! If our job-board is anything to go by, California is in desperate need of geo-professionals. Organizations must be competitive with salaries and benefits to keep their staff. This is the tool you need to do exactly that. 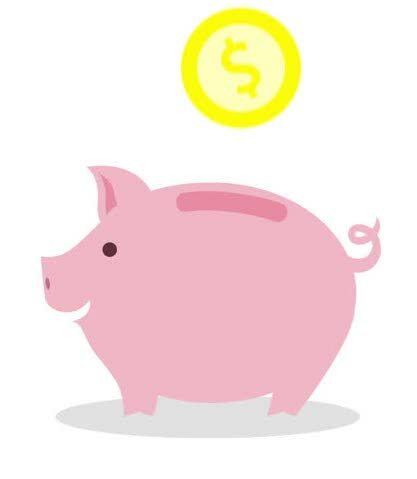 We are extending the deadline and giving you 2 more weeks to complete the salary survey. The more we get in, the better the results will be. Start now to avoid our annoying phone calls later! Attached to this e-mail please find the 2017 CalGeo Salary Survey Template. Please forward this template to your HR department or the correct person to complete the survey. "Ugh! But this takes so long..." - we know your frustration with the time required to fill out the information. We've tried to make it as easy as possible by using Excel and redesigning the template as of last year. We appreciate your efforts to put this essential document together. Benefits: CalGeo's salary survey is a detailed summary of salaries, benefits and bonuses for everyone in your organization. 7-different experience levels for engineers, geologists and environmental personnel. 4-levels of experience for soil & lab technicians. Yearly salary, bonuses, qualifications AND benefits summarized. Essential tool for performance reviews! Regrets: If you are unable to complete the survey, the cost to purchase one is $500. Don't let the time slip away - get yours in today and save $500!! 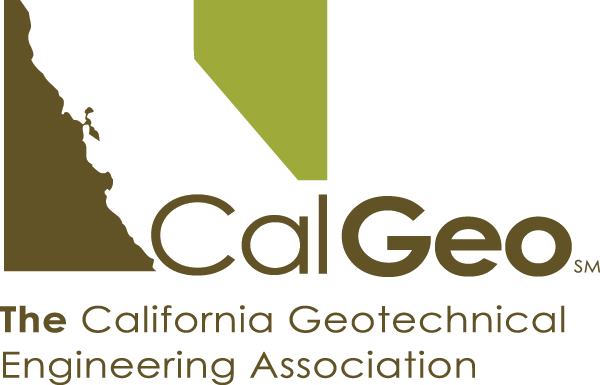 CalGeo has partnered with Littler Law firm this year to present an update on state PWL developments. Our speaker, Van Allyn Goodwin, will discuss the past year's legislative and administrative developments, and offer preventive measures and practical suggestions for complying with California's ever-changing PWL. 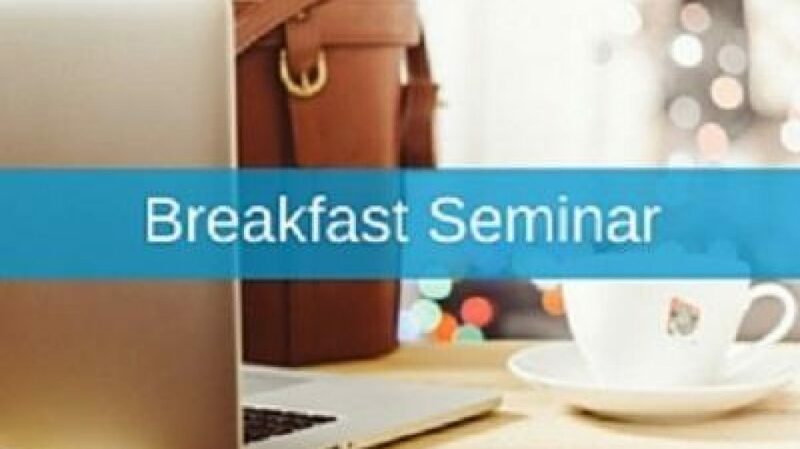 Program: 7:30am Breakfast & registration, 8:00-9:30am Seminar. 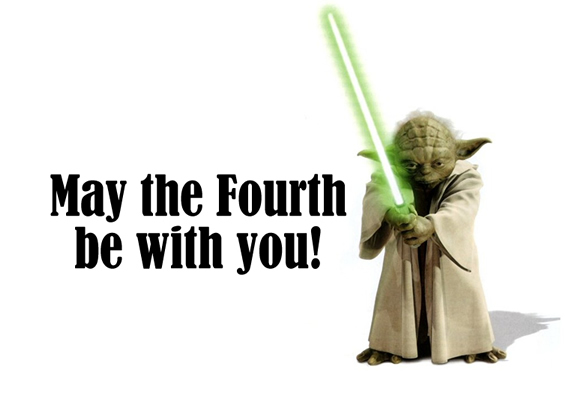 Short and sweet and get on with your day! Registration Deadline of May 14th for Irvine is only 10-days away!! Enjoy a night out with your peers this June and join us for our next regional dinner meeting. 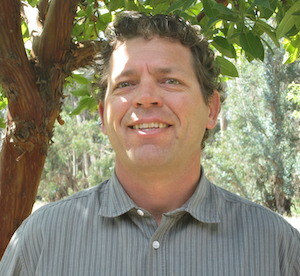 Our presenter will be Chris Doolittle from the County of Santa Barbara, Public Works. Cost: $45 CalGeo & AEG-SF members, $60 Non-members. Details: Meetings will begin at 6:00pm for registration and social networking. Dinner will be at 6:30pm with the presentation to follow. 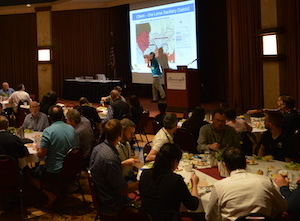 Thank you to everyone that attended our annual conference and short courses in Santa Rosa! It was a great success and we are excited to announce next year's conference in San Diego!! We will be reconvening at the Kona Kai Resort on Shelter Island and can't wait to bring in more fantastic speakers. If you didn't get a chance, please complete our conference attendee survey to help us make 2019 the best yet! 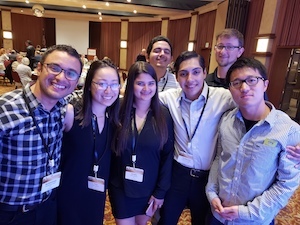 Our general membership meeting workshop brought up lots of great feedback and ideas and we are actively working on bringing more student involvement, webinars and on-line content to our members. We would also like to thank our students who attended, participated in our poster competion and also volunteered to help make the event run smoothly. Don't forget to mark your calendars to join us in San Diego April 10-12, 2019! 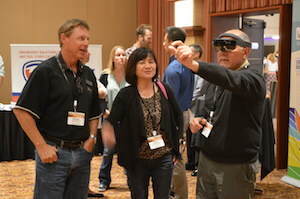 Conference attendees were treated to a cool demonstration at our Annual Conference last month when Rocscience, the developers of software for slope stability analysis, allowed attendees to play around with their augmented reality (AR) headset. 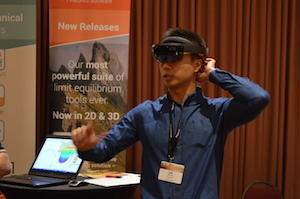 The Rocscience HoloLens Extension to Slide3 and RS3 combines the immersive qualities of Augmented Reality (AR) into their 3D modelling products. This is achieved through integration with Microsoft HoloLens, the leading headset in the AR market. Users can simply select the geometry they want to visualize and click a button to export it to the headset. The model is now “in the room” and can be “found” and “viewed” by anyone wearing the headset. Because it uses AR, HoloLens superimposes the image of the model over the real world that remains visible through the lens. This gives the wearer the feeling of immersing themselves in the model and experiencing it “live” without losing sense of their actual surroundings. For more information, click here to view a PDF describing the AR HoloLens and its application with Rocscience software. 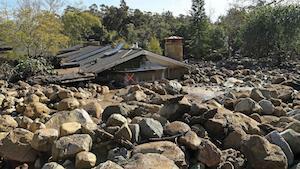 We are pleased to announce that JC Baldwin Construction, a CalGeo Affiliate member, was the winner of this year's Outstanding Project Award in the private, medium budget category ($100k-$500k). TerraCosta Consulting Group (TCG) and J.C. Baldwin Construction (JCB) teamed together to provide design/build services to stabilize the bluffs behind the Shore Cliff Lodge in Pismo Beach, California. 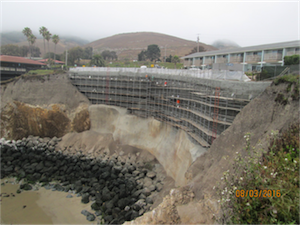 The project was completed in August of 2016, having been performed in 10 months, and consisted of three tied-back, shotcrete Sea Walls and reconstruction of a collapsed section of bluff with GeoWebb and compacted fill. 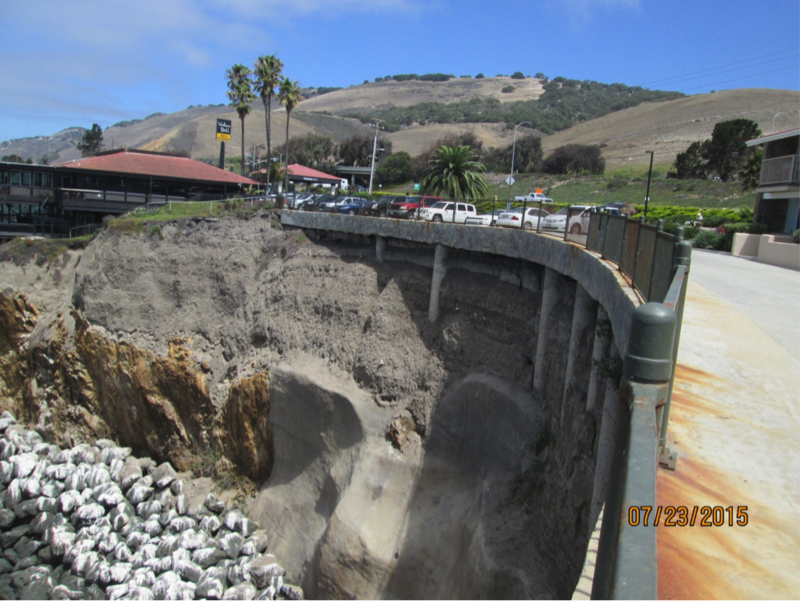 The project was necessary to stabilize the bluffs which had eroded over the years, exposing a series of existing concrete caissons, and was essential to maintain the long-term stability of the bluffs, prevent further erosion and enhance public access to the bluff areas. 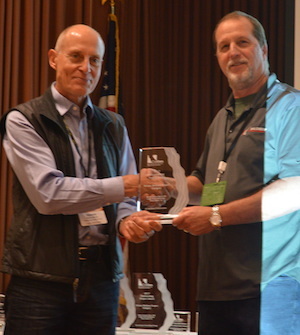 Danny Cohen, a past president of CalGeo, was in attendance to accept their award. Congratulations! As for the other winners... stay tuned to our next e.Geo as we will feature one winning project a month. Don't miss out on your chance to receive an Outstanding Project Award next year in San Diego. Any projects completed in 2018 can be submitted for consideration next January during the open application process. Dr. Siamak Jafroudi has more than 44 years of professional experience in geotechnical engineering. His area of specialization is material characterization in relation to slope stability evaluation, liquefaction analysis, pavement design, collapse potential, earth retaining structures and earthquake engineering. Dr. Jafroudi's experience encompasses the design and supervision of a multitude of soil mechanics laboratory tests and drilling programs. He has served as a Senior Principal Engineer on several key projects for schools, university and college districts, public agencies, transportation agencies, residential and commercial developers, as well as private-sector clients. 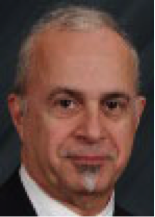 Dr. Jafroudi is a Registered Geotechnical Engineer (GE) and a Registered Civil Engineer (PE), all in the state of California, and a Geotechnical Diplomate (D.GE) with The Academy of Geo-Professionals. Additionally, he is an active member of the American Society of Civil Engineers (ASCE-GeoInstitute), the Earthquake Engineering Research Institute (EERI) and is a Past President of the Board of Directors for CalGeo. 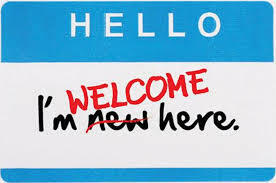 We are pleased to welcome the following new members to CalGeo! Please take a moment to welcome them at our next event.